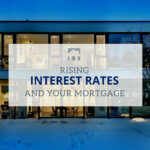 Reputable mortgage specialists do not believe the number one factor in selecting a mortgage is the interest rate. Once you understand what type of mortgage you need, and what kind of mortgage client you are, then you can select the best rate possible. You might opt for a shorter term if you know you will move or sell in two to three years, but most Canadians default to a five-year term, which is advisable unless you have a specific reason not to. With dozens of lenders at our disposal, new rates are available almost daily. A promotional rate often comes with some restrictions, so ask questions… ASK ROSS… and find out exactly what you are getting and if it is right for you. Transferring or switching mortgage lenders with no new money or changes in terms. Rate may depend on whether or not this mortgage is “insurable”. Such rates are often higher than purchase rates. Rental Properties. Such rates are higher than owner occupied properties. Bad Credit Mortgages. Now you are in the world of alternative lenders. Self Employed Mortgages. Best you just ask if this is you. So there truly is no “one size fits all”. ALTERNATIVE LENDERS: If your profile doesn’t fit into a traditional bank’s lending guidelines, there are other institutional lenders who offer potential funding. The interest rates are higher and typically you will pay a one time lender and brokerage fee, but a mortgage from an alternative lender is a viable solution for people with unique borrowing criteria. NOTE: Alternative lender rates start at 4.19 % for one year, with a thirty-year amortization. PRIVATE MORTGAGES: If you fall outside the alternative lenders’ guidelines, there are still individuals and mortgage companies who might lend you money. This option comes at a cost, as interest rates are much higher, you will pay a broker fee and possibly a lender fee as well. Additionally you are required to pay both the lender’s legal costs, as well as your own. NOTE: Private lender rates typically start at 6.99% for a first or second mortgage, and increase based on the strength of the application. It would be unusual for a private second mortgage to have a rate as low as 6.99%. Most of our private mortgages are interest only payments, making them affordable even though the rates are higher than you may be used to.